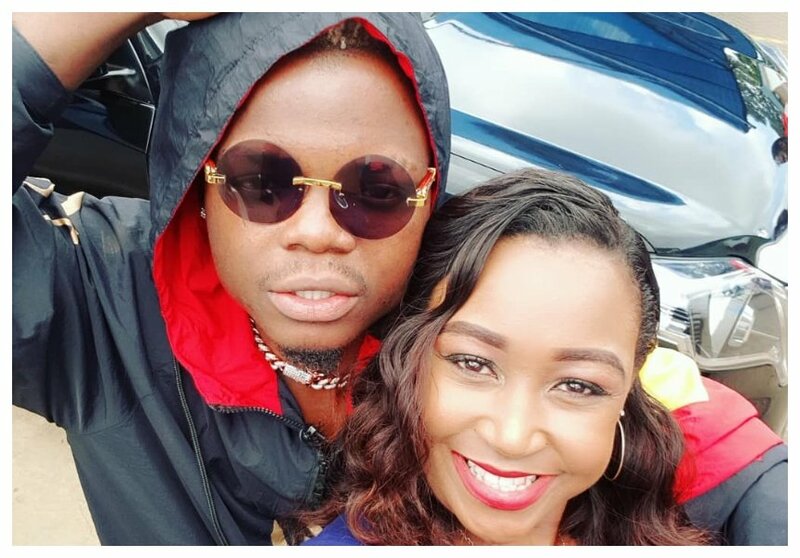 Betty Kyallo and Harmonize publicly flirted with each other to the surprise of a few who thought it was ‘risky’ doing so considering how protective Sarah Michelotti is of her boyfriend. The Italian beauty hinted she was expecting Harmonize’s baby when she recently took to social media to flaunt burgeoning baby bump. Betty and Harmonize flirted with each other when they recently met. The Kenyan TV girl was excited to meet the Bongo singer who shares birthday with her. “Chilling with @harmonize_tz really nice guy and we share the same birthday Wasiokupenda itawacosti. Coming soon to a TV near you,” Betty Kyallo captioned a clip of Harmonize and her goofing around. In another post, Betty jokes about falling in love with Harmonize and moving to Dar es Salaam with him. One fan however cautions her against making such joke saying Sarah won’t take it lightly. 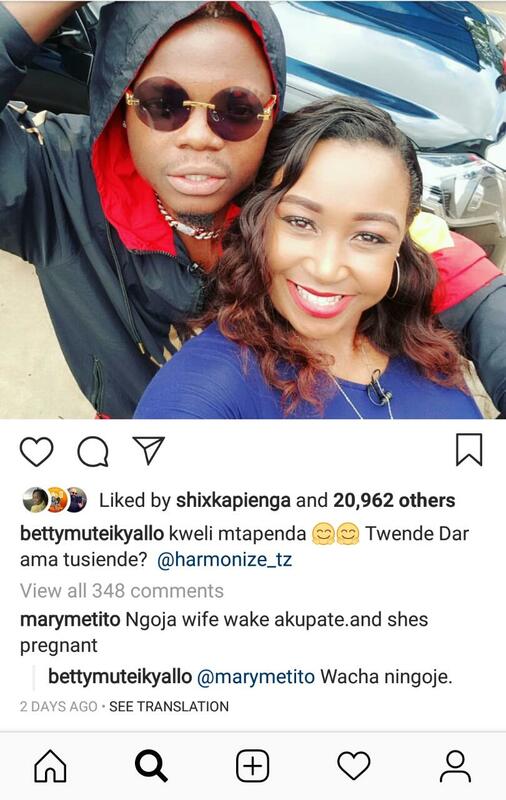 “Ngoja wife wake akupate.and shes pregnant,” Mary Metito warned Betty Kyallo. Betty however dismisses Mary’s warning and assures her she is not afraid of Sarah. “@marymetito Wacha ningoje,” Betty Kyallo responded.